Predicting lava flow pathways is important for understanding effusive eruptions and for volcanic hazard assessment. One particular challenge is understanding the interplay between flow pathways and substrate topography that is often rough on a variety of scales (< 1 m to 10 s km). To study this problem, we develop a lava flow modeling framework that combines spectral analysis of substrate roughness with a new lava flow model (MULTIFLOW). The MUTLIFLOW model includes a multiple flow direction routing algorithm in conjunction with a thresholding function that limits the extent of the flow. Comparison of MULTIFLOW results with recent flows on Mt. Etna, Mauna Loa, and Ki̅lauea suggests that MULTIFLOW accurately predicts the influence of topography on lava flow paths and morphology. Spectral filtering of pre-flow digital elevation models allow us to quantify which topographic wavelengths are most important for influencing lava flow pathways. Filtering constrains the height of pre-existing objects that flow overtop as a measure of flow thickness, and aids in identifying divergence of flow pathways from pre-eruptive topography that would result from modification of the substrate by the flow. Low-pass filter cutoffs in the range of ~ 10–100 m significantly improve the fit between modeled flow and real flow paths, suggesting a sensitivity of lava flow paths to such mesoscale topographic wavelengths. The three case studies are generalized with a parameter investigation of lava flow branching on synthetic red-noise topography. We demonstrate that the tendency of a flow to branch or not can be predicted on the basis of spectral characteristics of the underlying surface. We end by examining spectral signatures associated with volcanic and erosional processes on the Island of Hawai’i that may aid in forecasting lava flow pathways and deconvolving competing topographic construction and erosion in volcanic landscapes on longer timescales. The authors thank Michael Poland and Hannah Dietterich for their sharing of DEM data, and J. Taylor Perron for discussions surrounding his spectral analysis code. 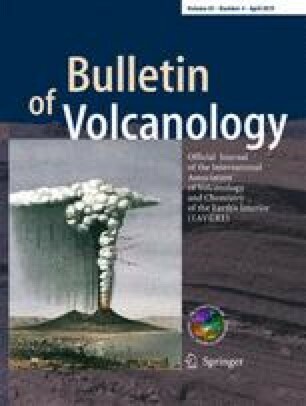 Comments, especially regarding the case study lava flows on Hawai’i and Etna, by Simone Tarquini and an anonymous reviewer, as well as comments by associate editor Hannah Dietterich and executive editor Andrew Harris, significantly improved the manuscript. The MULTIFLOW lava flow routing model is available on GitHUB at https://github.com/leifkarlstrom/MULTIFLOW_lava_flow_model.git and VHub. DEM spectral analysis tools developed by J.T. Perron may be obtained at http://web.mit.edu/perron/www/downloads.html.